Toby Sowery helped Lanan Racing begin BRDC British Formula 3 at the front when the championship got underway at Snetterton, Norfolk, on March 27-28. The Cambridgeshire 19-year-old scored a brace of podiums, a fastest lap and a pole-position on his return to the multiple single-seater champions. Team-mate Akhil Rabindra meanwhile raced hard on the way to three points finishes. The pair had a busy opening race — an early spin sent Rabindra to the foot of the field and Sowery was bumped unfairly from the top two to fifth. He was moved back up to fourth position following a post-race penalty handed out for incident. Sowery then starred on the way to third place in round two, setting the fastest lap to secure pole for round three. A good start saw him challenge for the lead at turn one before being squeezed out to the middle of the pack. Some fine passes moved him back into the podium places and onto the tail of the front two. After losing the lead at the opening corner of the third race of the weekend, he hassled the leader but couldn't find a way through to retake the lead. He crossed the line less than half a second adrift in second, rarely being further back all race. Rabindra was in the thick of the action for much of it, falling back to 13th when fighting over 10th in the second race and slipping back from ninth to 18th after looking to take eighth. Sowery's impressive weekend ensured he left Snetterton third in the standings, with Rabindra 19th. 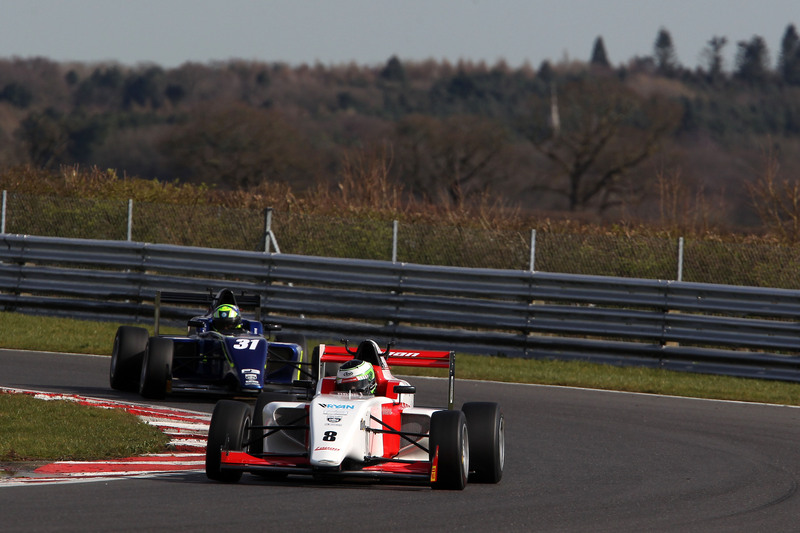 BRDC British Formula 3 returns on April 16-17 at Brands Hatch.